These bibs are why you are here. Simple and beyond functional. Unlabelled. Unbranded. And the most affordable on the market. Our namesake bibs are some of the most comfortable on the market. How did we do it? We used our experience from 8 years in the custom cycling apparel market. Our bibs have won national and world championships. Our pattern provides the perfect amount of compression for all day riding. We've spent hours in the saddle testing them. These are absolutely the best bibs anywhere near the price range, and they ship to you from right here in the USA. Dyed black high compression lycra with 2.5cm folded leg opening. 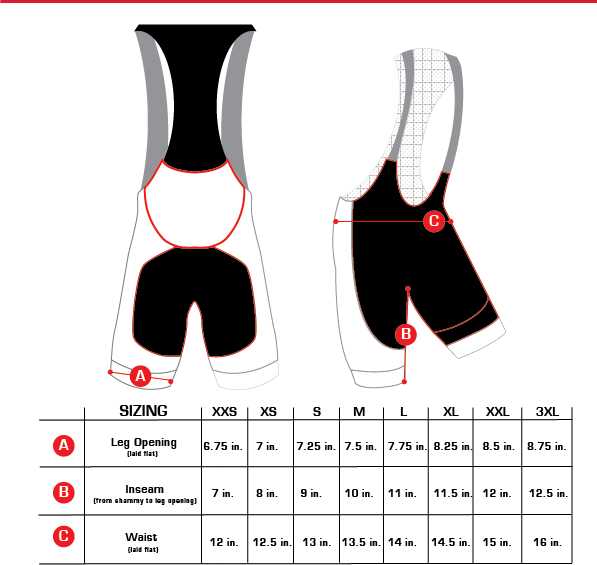 NOTE: The measurements below are based laying the bibs out without stretch. 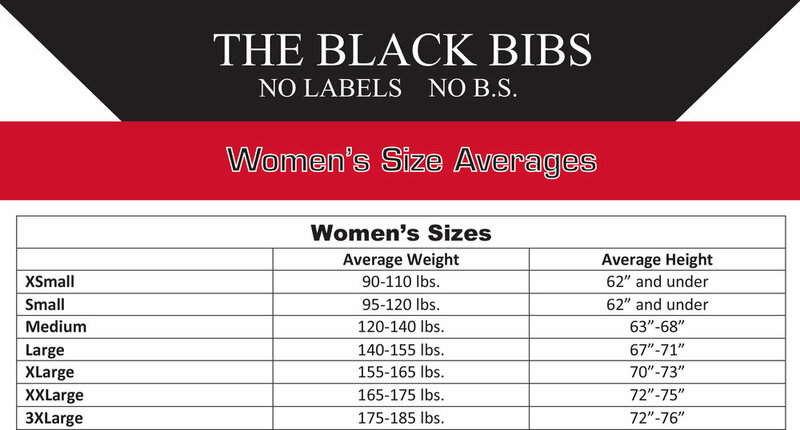 The Black Bibs are engineered to have high compression so they may measure smaller than other brands, especially if you are comparing to printed (sublimated) custom bibs because the fabric on those can't stretch as much without becoming see through. Most people order the same size as in a "European" style brand. Fit is subjective and these are only recommendations based on our experience. Our bibs are engineered for a compressive fit to aid performance and recovery plus keep the chamois in place. If you want a loose fit please size up.